You’re in the process of buying a used car and you’ve just found the best deal going. It all looks and sounds good: a great price, low mileage and superb features. But how can you be sure an unknown mechanical fault isn’t lurking beneath the bonnet? Thanks to the AA’s comprehensive pre-purchase car inspection service, we can give you that extra peace of mind with your next vehicle purchase. We know exactly what to inspect on a used car. If you decide to buy your next car from one of our approved dealers*, you can be sure it’s been completely checked by us or an engineer working on our behalf. Even if you choose not to buy from one of our approved dealers, you can still take advantage of our car inspection service by asking us to look at any vehicle you have your eye on. That way, you’ll get that extra bit of assurance about its condition. Making sure the next car you buy has no hidden mechanical issues isn’t just a question of reliability. It’s also essential for keeping you, your family and other road users safe. You won’t want to spend a lot of money on your next car and find it hits you again in the pocket weeks or months later – let alone one that potentially puts you at risk every time you drive it. What does a used car inspection include? We provide a visual examination of the mechanical parts of a vehicle. This includes the main engine parts and what each one does; electrical controls; chassis, steering and suspension; fuel system; brakes; tyres and wheels; and engine management system. A full road test is also carried out. There’s no specific number of individual checks as it varies from model to model. If you book the examination yourself, you’ll get a verbal report on what condition the car is in straight away – and the full report will then be sent to you within 24 hours of the inspection, so you can make an informed decision. 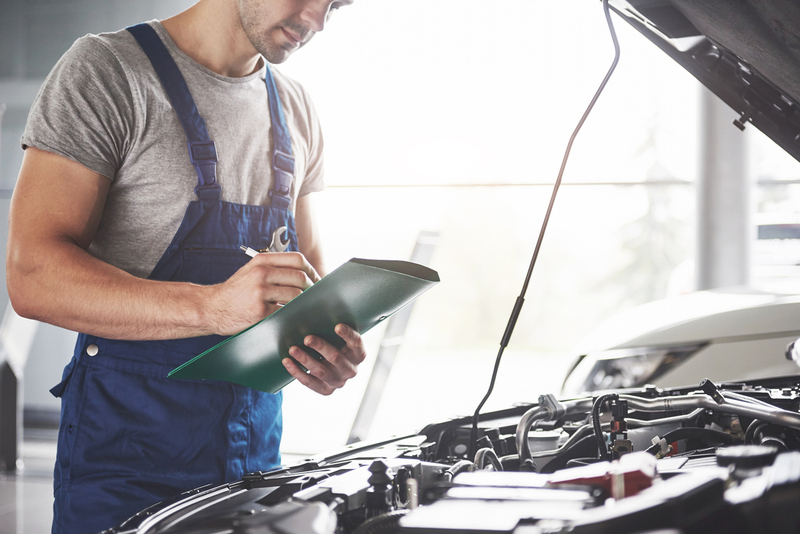 Bear in mind that, as part of a pre-purchase car inspection, an inspector won’t take apart any item on the vehicle, or look at any vehicle data. They also won’t check the accuracy of the mileage; where any oil leaks may be coming from; air-conditioning; fuel and oil consumption; or any in-car multimedia and air-conditioning systems, as well as exhaust emissions and any modified parts. Do I need a pre-purchase car inspection? AA research has shown that 8 out of 10 people feel more confident knowing that a vehicle has been inspected by us, while nearly three-quarters made a quicker decision on a car that comes with an inspection report. You may not think you need a pre-sale car inspection if you’re buying a used car but having that peace of mind can be priceless. How much does a used car inspection cost? Prices start from £128 for a basic inspection, while a comprehensive examination starts from £191. Once it’s complete, you’ll have access to an online copy of your report too and existing AA Members will get a 10% discount on this inspection cost. If you’ve found your perfect car and want us to give it the once over before you agree to buy, it’s easy to book your vehicle inspection. Still looking? You can search more than 5,000 cars for sale through our approved dealers. They’ve already been inspected by us – so you’ll have extra confidence when you find the right car for you. * The Approved Dealer programme also includes franchised dealers. These dealers all inspect their vehicles to the standards expected by the AA.